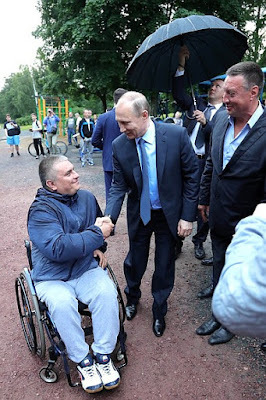 Visit to open-air gym in Petrozavodsk. 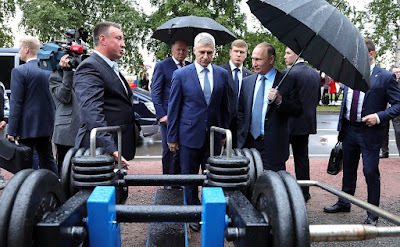 Putin.BLOG Regions Sports Visit to open-air gym in Petrozavodsk. 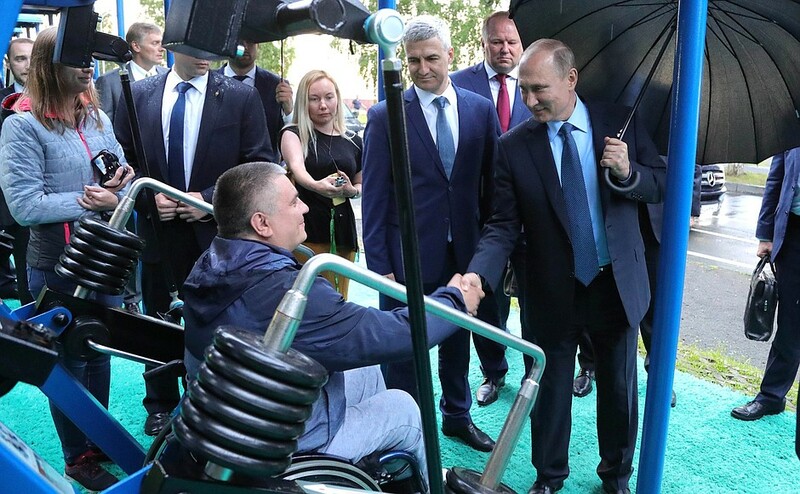 Vladimir Putin completed his working trip to Karelia with a visit to an open-air sports center with training equipment installed on the Lake Onega embankment in Petrozavodsk. On July 21, the first sports center with unique strength-building training equipment designed for use by people with physical limitations, including wheelchair users, opened on Onezhskaya Embankment. The sports equipment was designed and produced in Russia by Vadim Markelov, private entrepreneur and director of the company MB Barbell. The equipment represents a new direction for MB Barbell in developing outdoor sports equipment that can be regulated to suit different users’ needs. The sports area is free and open for all 24 hours a day, 365 days a year. To date, this is the biggest free open-air sports area in Russia and in Europe offering a concept of free family sports and leisure. Vladimir Putin visited an open-air gym in Petrozavodsk. Along with the equipment designed for use by those with limited mobility, the sports center also has outdoor equipment for developing all muscle groups, horizontal bars, more than 30 types of popular outdoor training equipment, and more than 10 pieces of training equipment for children, as well as five cutting-edge training machines using StreetBarbell Light regulated weights. All of the equipment is internationally certified and conforms to the highest reliability and safety standards. 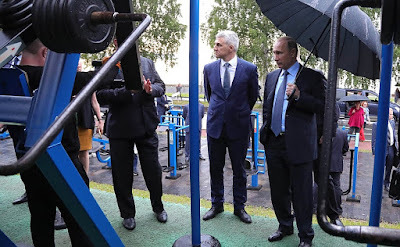 Vladimir Putin in an open-air gym in Petrozavodsk. President Putin in an open-air gym in Petrozavodsk. Putin visited an open-air gym in Petrozavodsk. 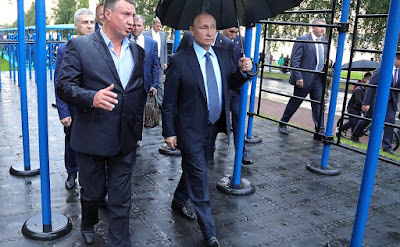 0 Comment to "Visit to open-air gym in Petrozavodsk."